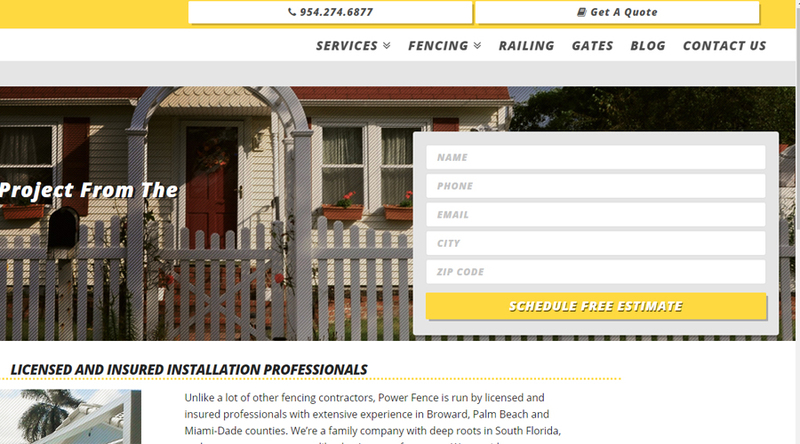 Custom WordPress theme developed to replace an existing lackluster website. 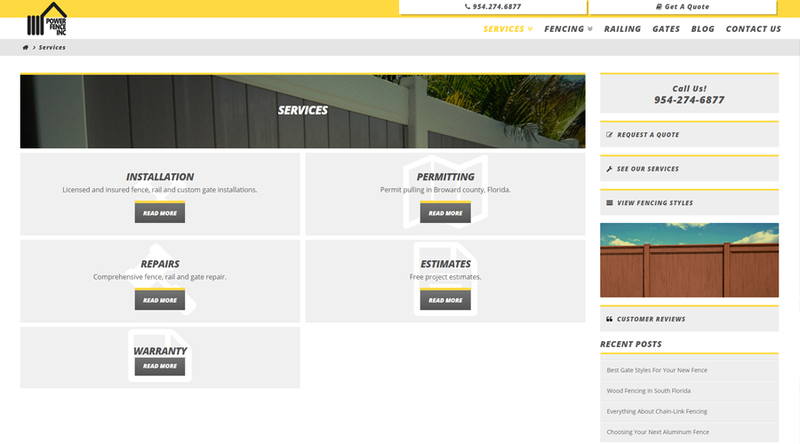 The theme was developed from scratch and was designed with the intent of presenting a strong brand image in the form of greys and blacks with high contrast yellow as an accent, like in his existing logo. 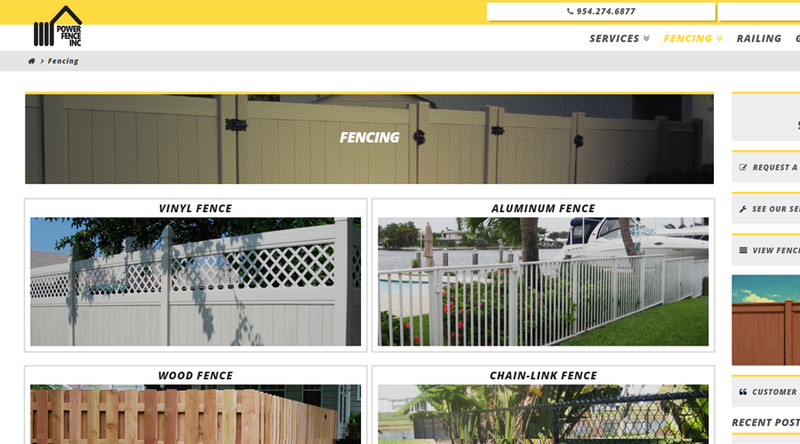 This fencing contractor also owns a separate welded and mechanical aluminum shop capable of creating pretty much any type of aluminum fencing, so separate pages were added in order to display the aluminum products separately. Aside from the development, we also structured all of the on-page SEO for the website, including optimization of header tags, title tags, and meta descriptions. Deep keyword research was done prior to writing the content, and as a result, this website is now ranking pretty well for their service areas despite no further SEO work done outside of the on-page.